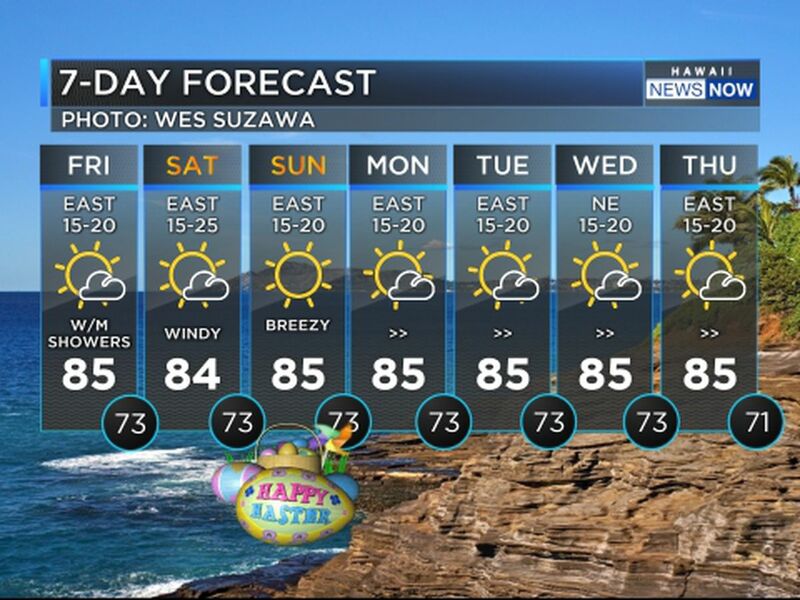 HONOLULU (HawaiiNewsNow) - Trade winds will weaken through Thursday night as high pressure to the northeast of the islands moves away. 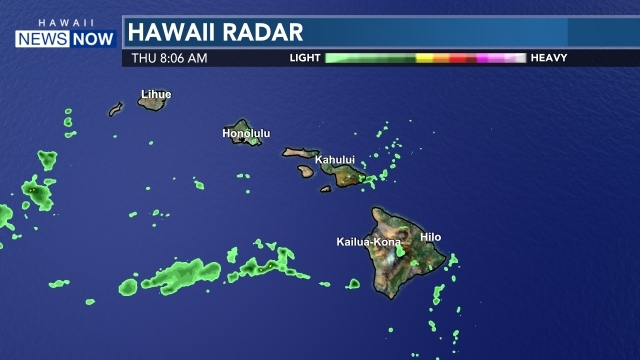 Leftover moisture from a front passing north of the state will reach the islands this weekend, with an upper level trough passing from west to east. This will increase shower activity through the weekend. 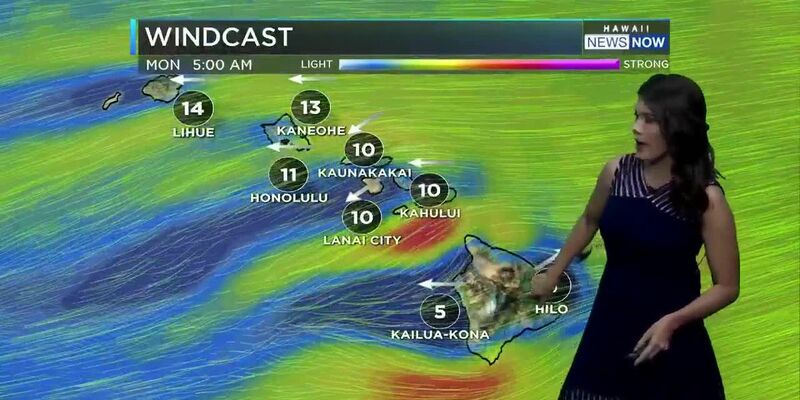 A strong high pressure system building in northwest of the region will bring strong trade winds which will continue through early next week. A reinforcement out of 320 deg from the same gale- to storm-force low that has essentially stalled over the Aleutians just east of the Date Line in the past 24 hrs is forecast to begin filling in around sunset Thursday, peak Thursday night, then gradually lower through Saturday. This reinforcement will support advisory-level surf holding through the day Friday before lowering Friday night through Saturday. The third in the series of large swell events is forecast to fill in Saturday night, peak Sunday, then slowly lower into the beginning of the upcoming week. This source will be associated with a gale- to storm-force low that is projected to develop near the western Aleutians tonight, then dive east-southeastward across the Date Line by Thursday night with a decent sized fetch setting up focusing energy toward the state within the 340-350 deg directional band (more northerly source). 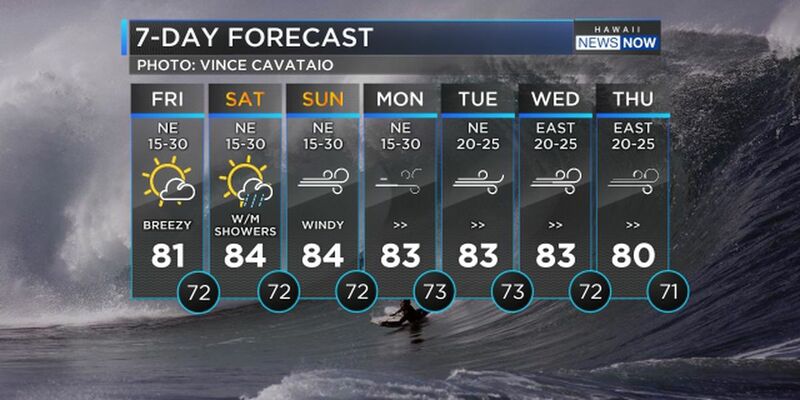 Surf along north facing shores will likely reach warning levels late Saturday night and hold through Sunday before dropping to advisory levels Sunday night.